The NEW Telstar Jump Capsule Mk3 model offers STABILITY, STYLE and SAFETY. 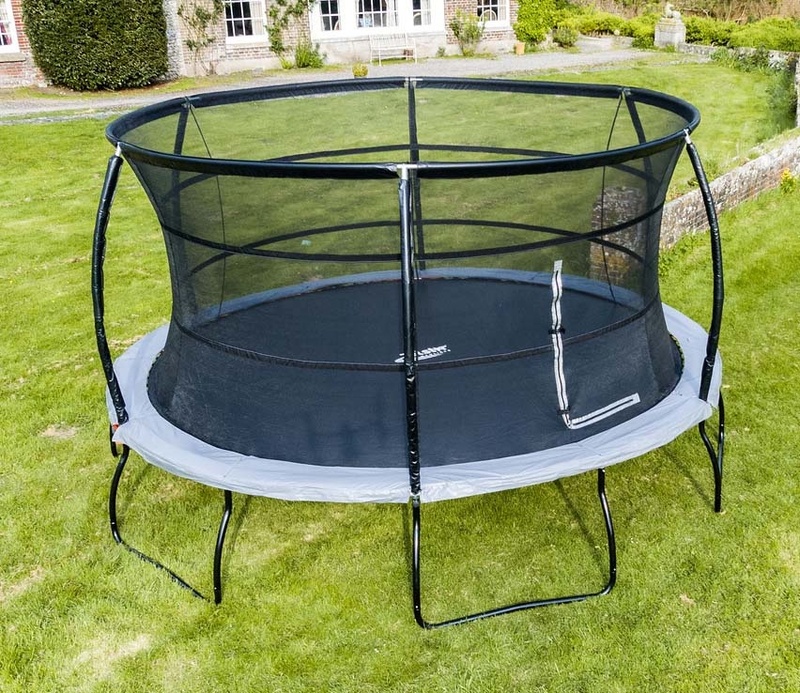 If you have the space in your garden for this awesome 14ft round trampoline your children will LOVE it. One super sweet 'Sweet Spot' in the centre powered by Telstar's performance springs enables the user to jump higher and higher. The Trampoline - What's NEW? 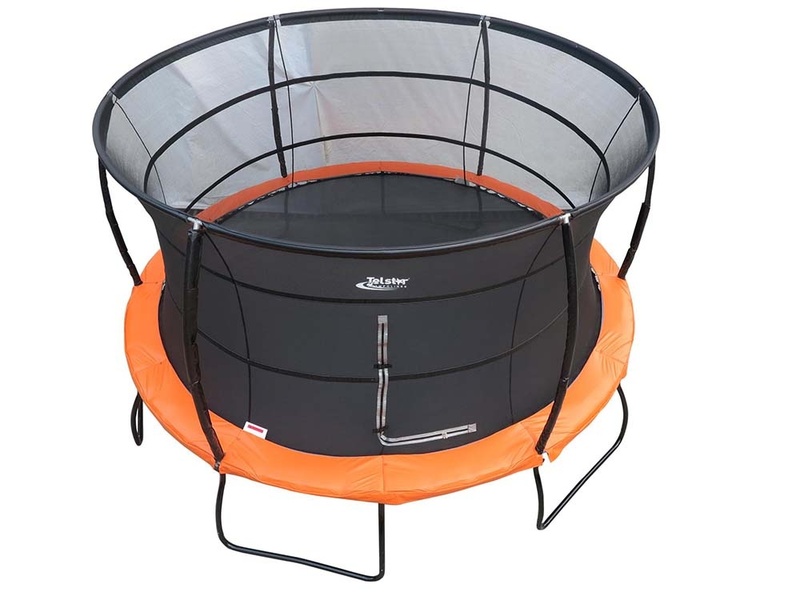 The unique design of this ‘No Escape' net ensures the bouncer cannot get access to the springs or trampoline framework whilst on the trampoline. The trampoline bed and safety enclosure are factory stiched to provide 100% safety from falling onto the trampoline framework. 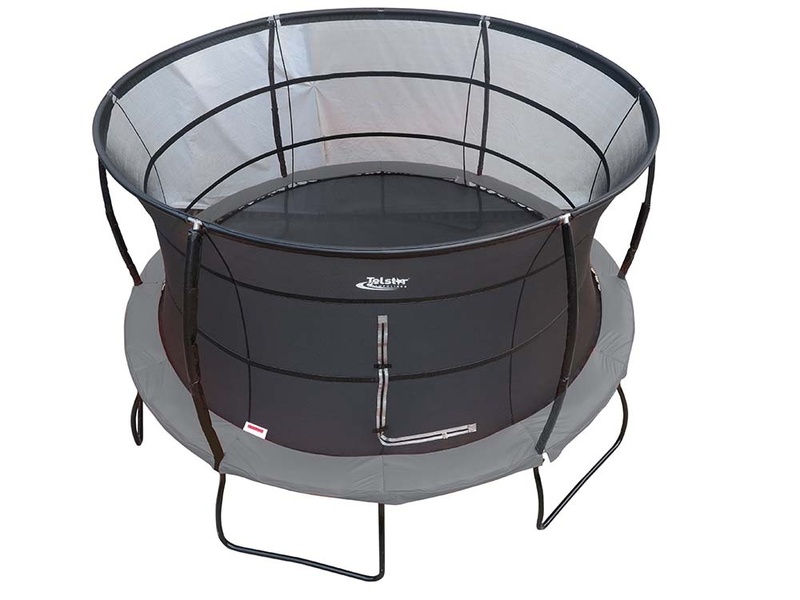 This ingenious design secures the safety of little fingers and toes better than any other trampoline on the market. 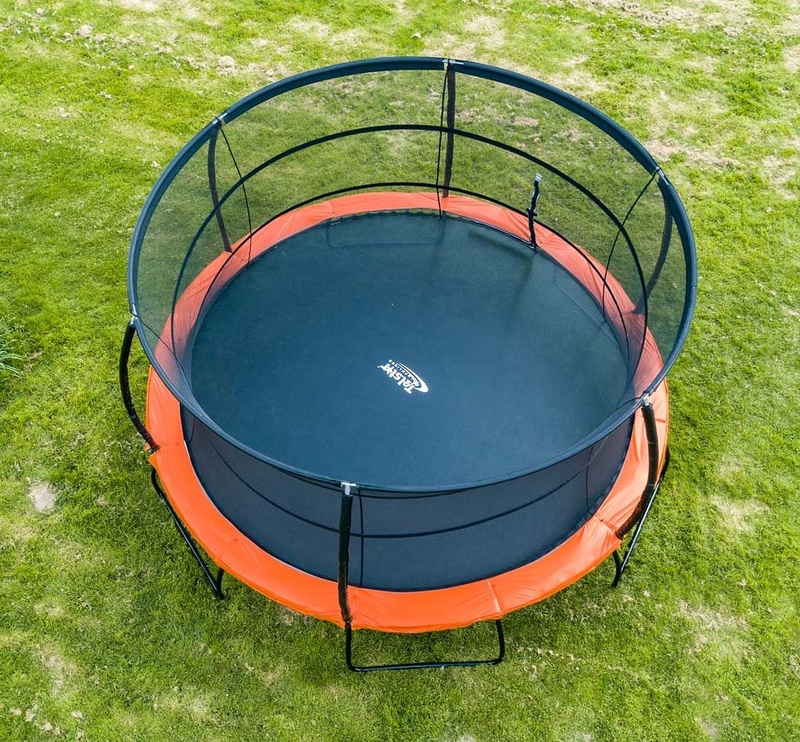 To see how AWESOME this trampoline really is, please take time to scroll through the images and check out the video. It is highly advisable to drop your safety netting down if we are due high winds. With the Jump Capsule Mk3 model this is a simple 5 minute procedure which will help protect your netting and safety enclosure poles. 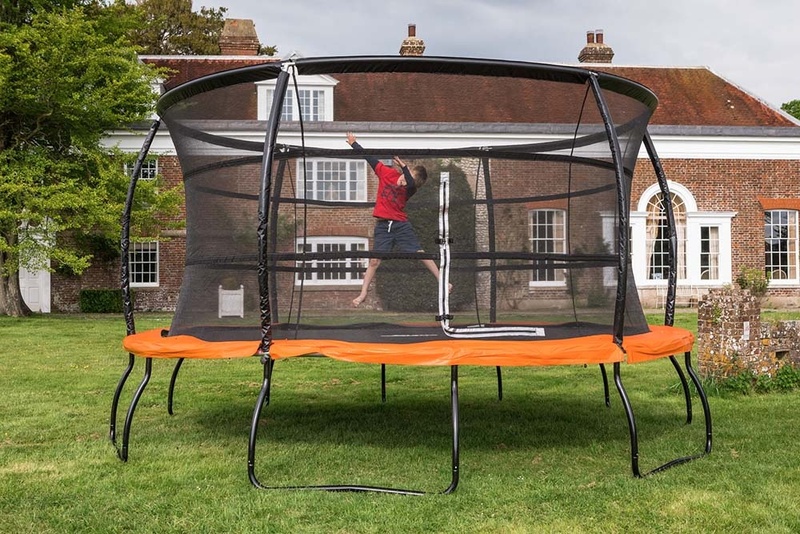 Once the safety netting has been dropped onto the trampoline the cover can completely cover the netting and trampoline. A Tie Down Kit (£28.00) is only needed if your trampoline is a in a windy or exposed area or we are due high winds. 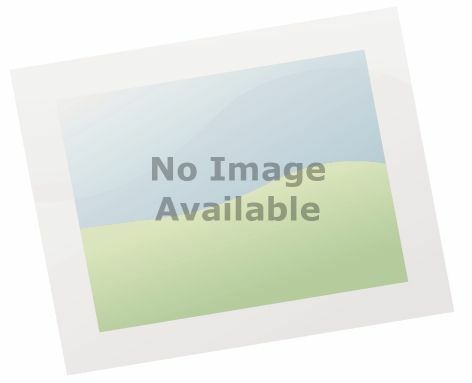 The Tie Down Kit consists of long tent pegs and heavy duty strapping which goes over the trampoline framework to help keep the trampoline grounded.